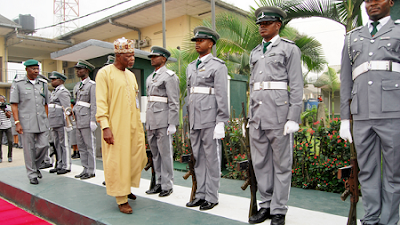 The Nigeria Customs Service has cancelled the promotion examination recently conducted for senior officers from the rank of Assistant Comptroller to Deputy Comptroller over irregularities observed in the conduct of the examination. According to an internal circular, dated November 22, 2017, the Comptroller General of the Service, Col. Hameed Ali (retd. ), ordered the cancellation. The circular, signed by the Deputy Comptroller General in charge of Human Resources, stated that Monday, November 27, 2017, had been fixed for a repeat of the examination at the Customs Command at Staff College, Gwagwalada, Abuja. Lobatan!